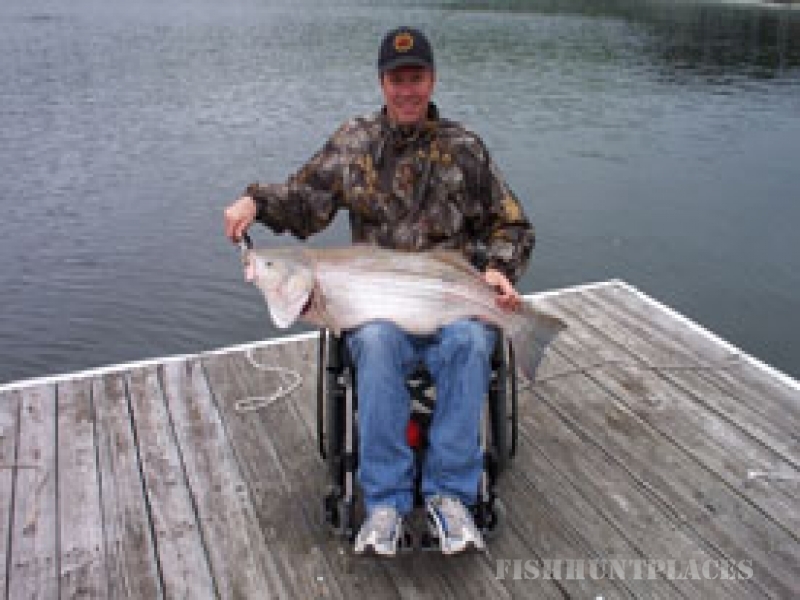 Norfork Lake is an outstanding fishery, drawing enthusiasts from all over the country. Nationally famous for the striped and hybrid bass it yields,Norfork Lake also offers great fishing for both large and small mouth bass. Don’t overlook the walleye population. This much sought after table fish has really come into its own. 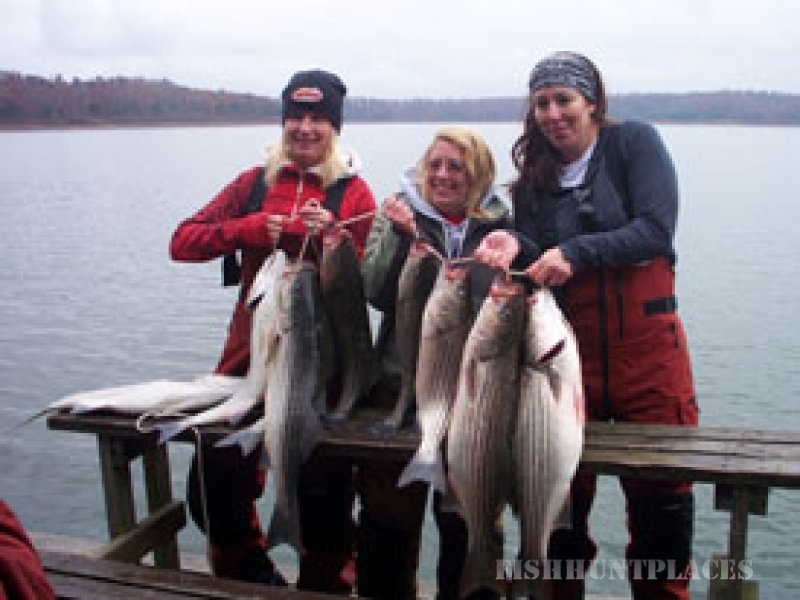 White bass, monster crappie, bluegill, and catfish are also plentiful. Mild winters, water that never freezes, and a 365 day open season, enable anglers to enjoy fishing throughout the year. Spring typically comes early to Norfork Lake as does the traditional spring bite. Our warm lazy summer days offer great bass and crappie fishing early in the mornings and late in the evenings leaving your afternoons for other lake adventures. For a real thrill, try night fishing “under the lights”. The mosquitoes won’t bother you. There are none. 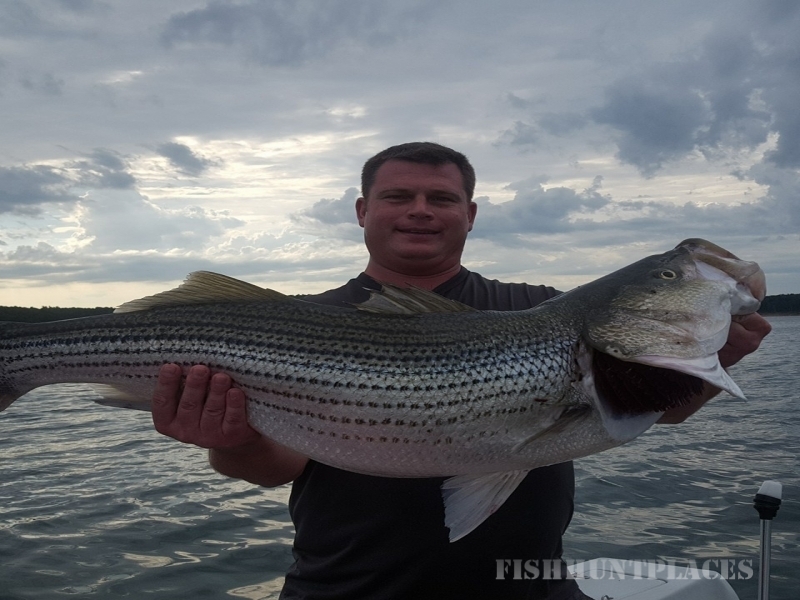 And fishing in the fall couldn’t be better as you cruise the lake looking for that special hot spot while admiring some of the most beautiful fall foliage that you have ever seen. October 1st. The day so many outdoors folks have marked on their calendar. Opening day of bow season for deer on Norfork Lake in Arkansas, with muzzleloader following shortly thereafter, and then modern gun. You euned up the bow, cleaned the muzzleloader, adjusted the rifle scope; it me to go to the same old handful of areas and the same old musty shack you sed for years. Picture this. You head for the lake, check into your heated resort cabin, stock the frig., maybe watch a little TV, and get ready for an early start the next morning. Sounds great so far, right? Now here are good part. 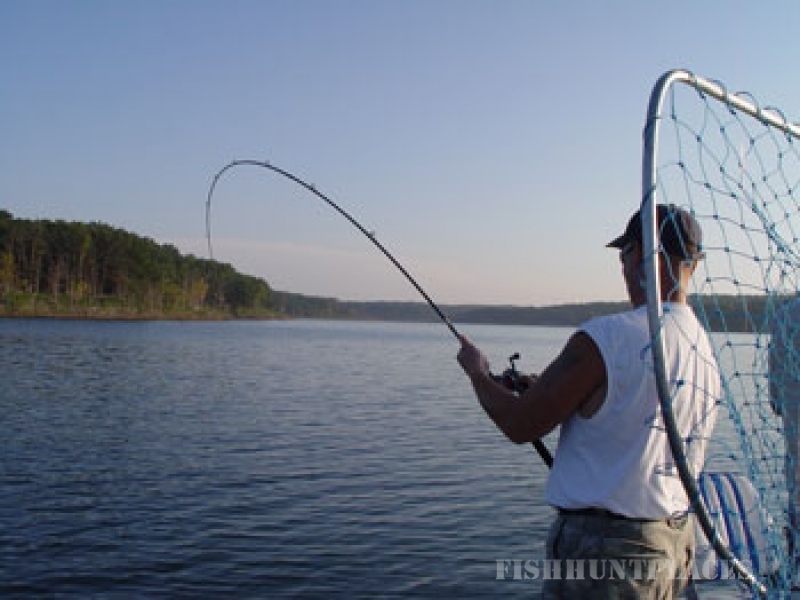 Norfork Lake has over 20,000 acres of public land managed by Arkansas Game and Fish Commission (AGFC) and US Army Corps of Engineers (USACE). You can access these hunt-able areas by foot, vehicle, or boat. It our choice. Need a picture? Take a look at all of the green for In-Season Hunting as on the Norfork Lake Map. You could literally walk outside of your cabin a few feet and start hunting. Or if you prefer, take a boat to your hunting destination of choice. Just don not from the boat. The warden will have a problem with that and besides, it sporting.